Dying mason jars is a great way to take an inexpensive jar and personalize it to the colors of your home. 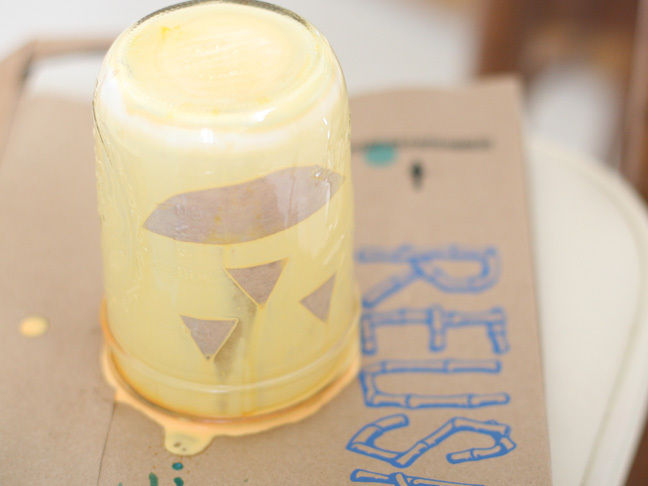 Halloween is just around the corner, and this is an easy Halloween craft you can do with kids. 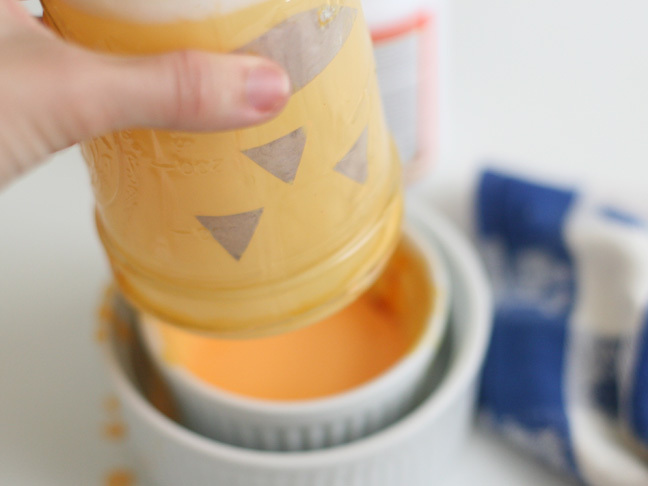 Turn a simple mason jar into a festive Halloween Pumpkin Mason Jar! With supplies you have at home, and of course, trusty Mod Podge, you can easily make one of these (or a dozen!) in an afternoon. Step 1: Preheat your oven to 150F. 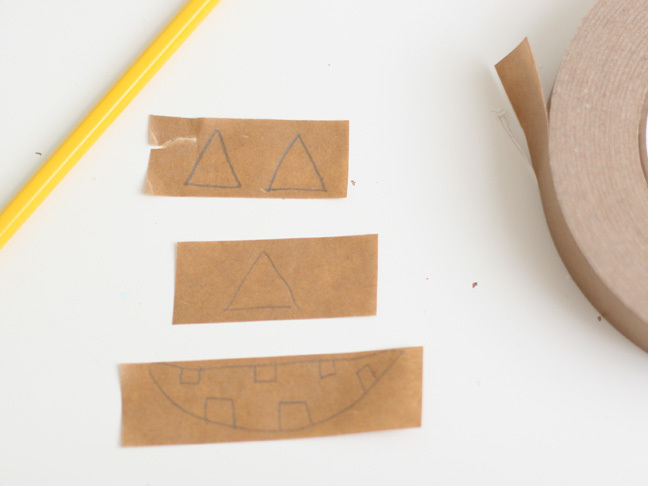 Step 2: Draw jack-o-lantern features onto the tape; include eyes, nose, and a mouth. Step 3: Cut out the feature shapes. 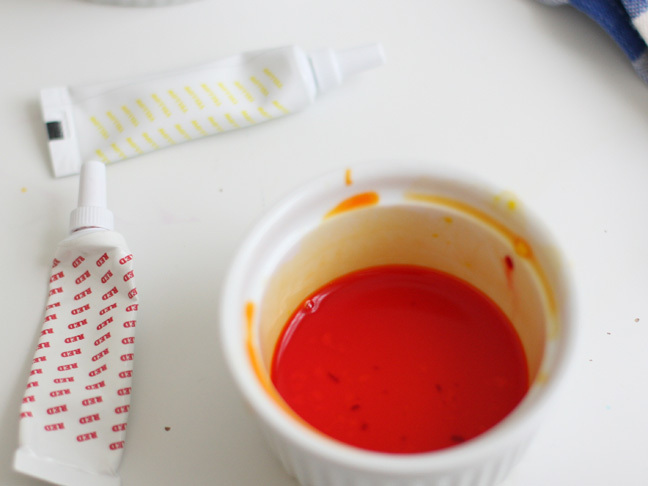 Step 5: In the ramekin, mix a few drops of the red food coloring with the yellow food coloring and add a teaspoon of water to dilute the mixture. The mixture should now be orange. 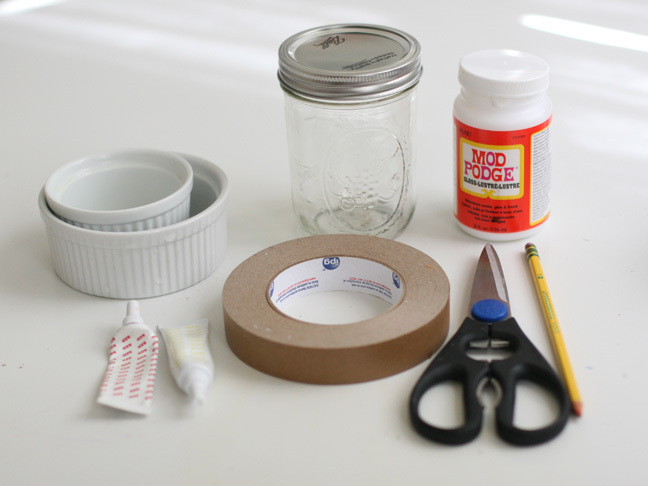 Step 6: Add a couple teaspoons of Mod Podge to the mason jar. 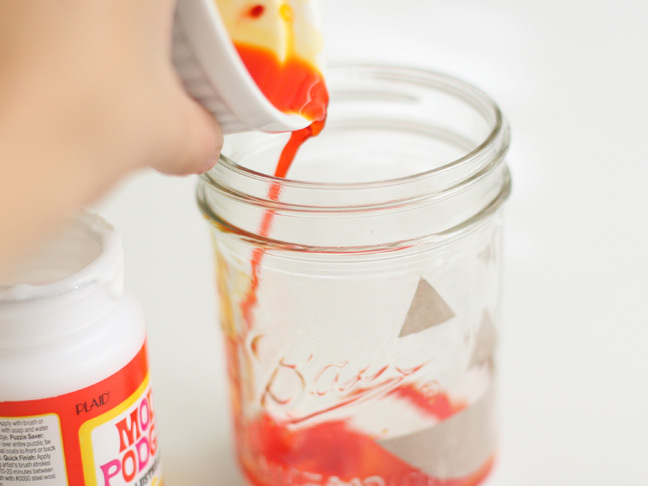 Step 7: Pour in the orange food coloring mixture into the mason jar. Mix it well with the Mod Podge. Step 8: Position your bowl upside-down over your mason jar. Then, holding the bowl tighly over the mouth of the mason jar, quickly and carefully tip the whole thing over so that the mason jar is now upside-down on top of the bowl. Let it sit, so you allow the Mod Podge mixture to coat the iside of the jar and turn it orange. 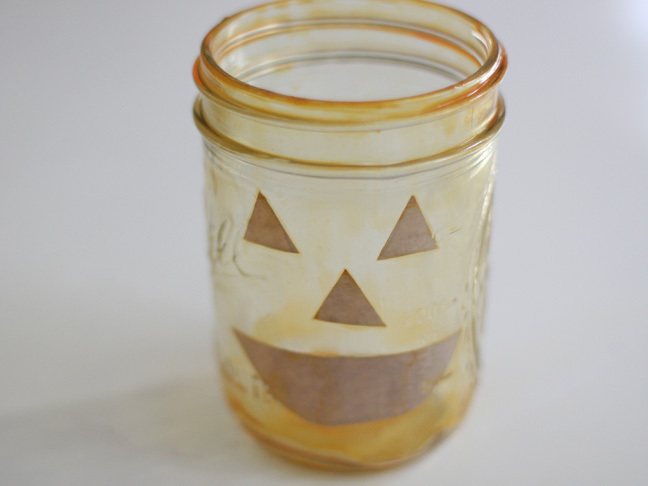 Step 9: Once the inside is fully coated, set the mason jar upside down on some newspaper to dry for 20 – 30 minutes. Step 10: Line your cookie sheet with waxed paper. Step 11: Set the mason jar (still upside-dow) on the lines cookie sheet and slide it into the warm oven. 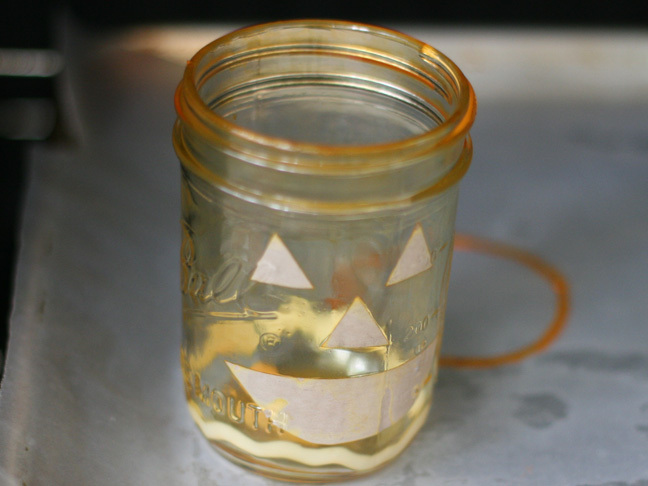 After 10 minutes, turn ithe mason jar right-side up for another 20 – 30 minutes until the opaque orange mixture turns clear. 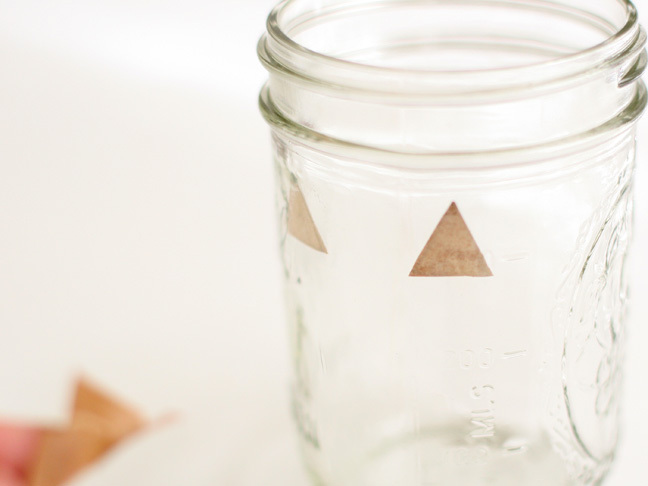 Step 12: The mason jar should be pretty, clear, and glossy when you’re done! 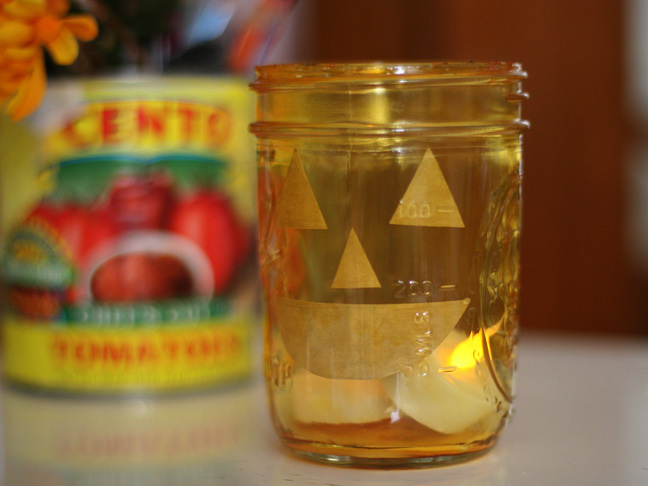 Insert a battery operated tea light for your Halloween decorating!